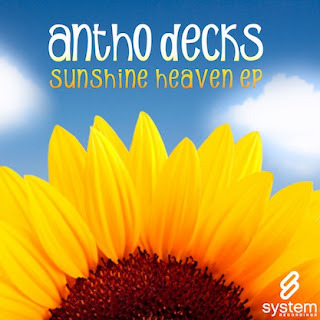 System Recordings News: Antho Decks 'Sunshine Heaven EP' - Out Now! Antho Decks 'Sunshine Heaven EP' - Out Now! November 11, 2010 - ANTHO DECKS shines down from above with the melodic, progressive 'SUNSHINE HEAVEN EP', featuring "SUNSHINE HEAVEN" and "KAMO".